Mattress Mack – How Impressive! Today – Friday, Mar. 29 – Mattress Mack dazzled the capacity crowd of 250 at the Northeast Leadership Forum Annual Meeting when he talked about how businesses should lead the way as givers. He is a man of incredible influence – one of the elite entrepreneurs in America and a philanthropist beyond comprehension. “If you help enough people get what they want, you’ll get what you want.” What an inspiration! 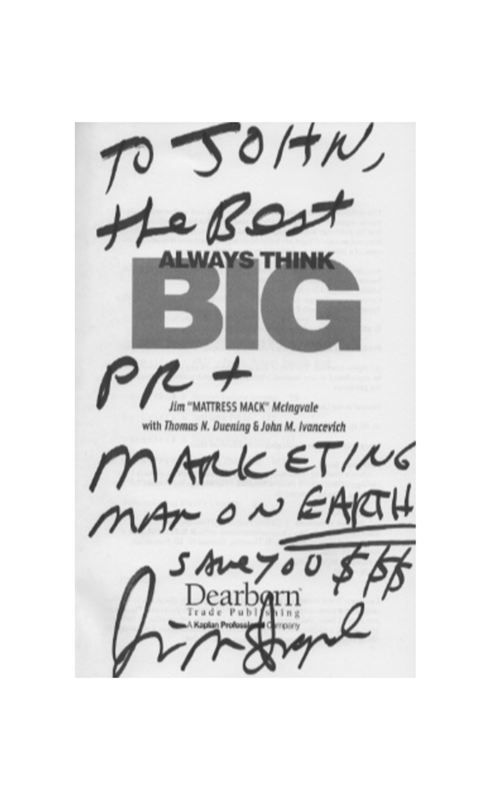 Check out Mack autographing my personal copy of his book, ALWAYS THINK BIG!